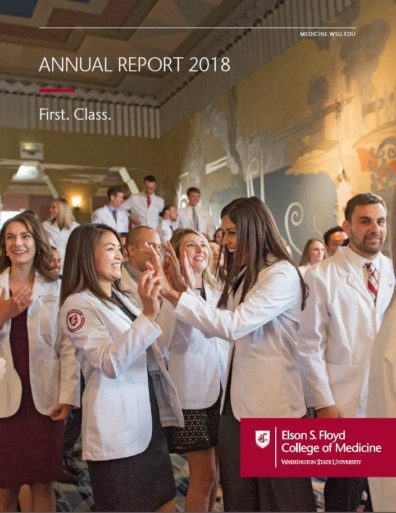 The Elson S. Floyd College of Medicine’s Annual Report details the college’s accomplishments from July 1, 2017, to June 30, 2018. The college’s second Annual Report showcases the work of the admissions and recruitment team, the inaugural Hackathon, research highlights from the past year, fundraising efforts, the departments of speech and hearing sciences and nutrition and exercise physiology, and much more. You can read the Annual Report here (PDF).